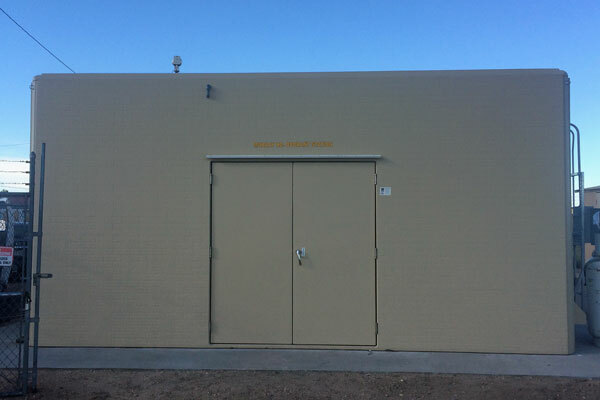 To add the extra level of protection, we offer the upgrade of including a Shelter Works custom-built fiberglass building to house the entire odorization system. Fiberglass buildings enhance the system’s protection from weather and other environmental events. The Shelter Works fiberglass building also discourages vandalism and improves the appearance. Shelter Works uses a distinctive FiberBeam™ so that the roof and walls do not buckle in heavy snow, thus giving the odorant injection system additional protection. Having a building designed to the customer’s specifications provides the end-user with an opportunity to specify doors, windows, roof hatches, access panels, cut-outs, or bulkheads necessary to accommodate the system. 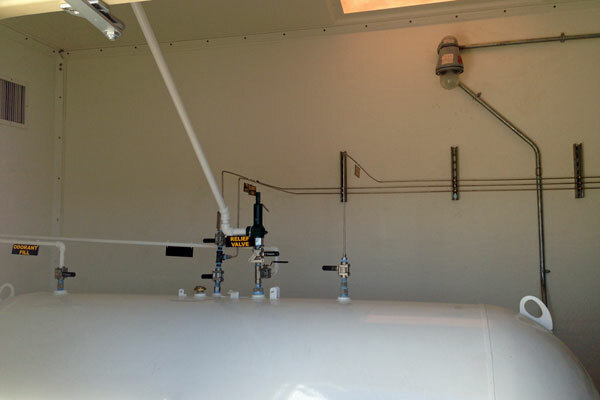 The Shelter Works fiberglass features a closed-cell construction making it impervious to mercaptan, this means that the odorant won’t absorb into the fiberglass. Please tell us about your odorization project below. Let us know when you need your response. Want more info? Send us a note. 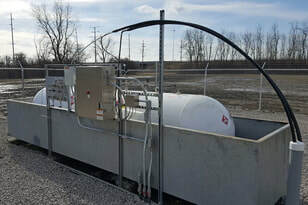 A GPL 10000 odorizer, the odorant tank, and containment skid are inside this fiberglass building. Specify doors, windows, roof hatches, access panels, cut-outs, or bulkheads necessary to accommodate the system. 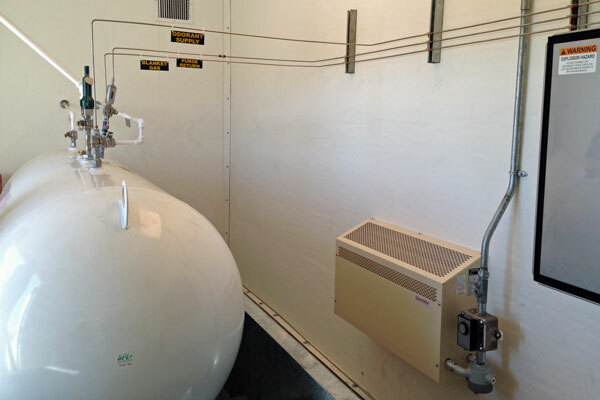 Housed inside the fiberglass enclosure is the odorization containment skid with the odorant tank. Protection against adverse weather or other environmental impacts. 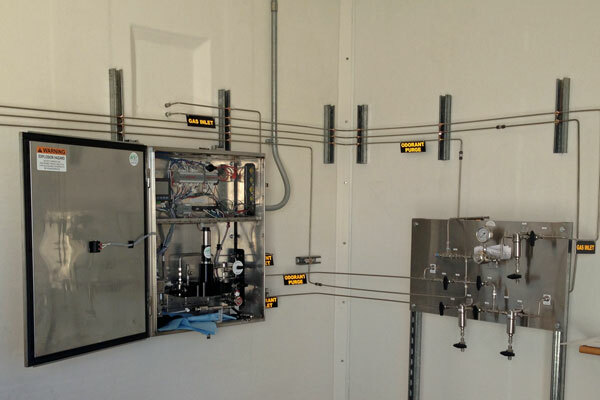 GPL Odorizers offers full packaged odorization skids with the odorizer, ASME odorant tank, and containment assemblies; in both vertical and horizontal tank configurations. 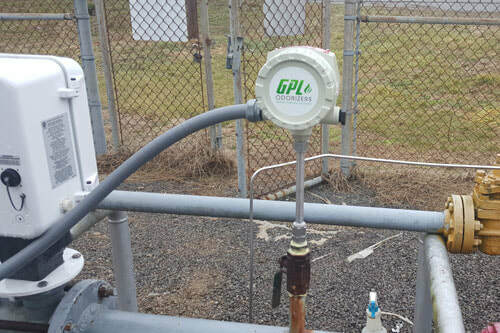 Are you considering the GPL 750 for a low-volume or intermittent-volume application? 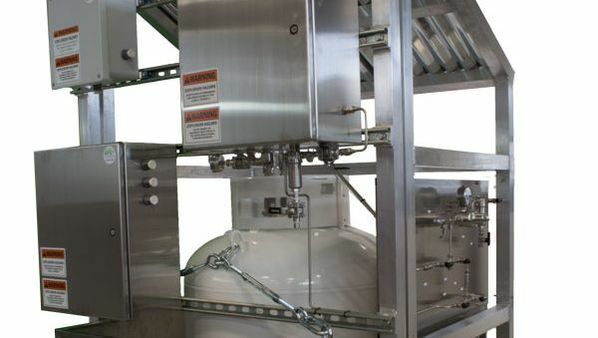 We recommend the GPL 750 thermal mass flow for all units. Our temporary/portable odorization packages are easy to transport by a forklift and fits in the back of most pickup trucks.